Situated in some charming coastal towns on the small Mediterranean island, every year Malta’s land based casinos attract tourists and cash games fans from around the world. One of these renowned casinos is the Oracle Casino, which is considered to offer the island’s largest space dedicated to casino games. Founded in 1998, the Oracle Casino belongs to the Tumas Group, which owns the Potromaso Casino, also in Malta. It is situated in the coastal town of St. Paul’s Bay in the north of the island and every year during the summer tourists flock to this area of natural beauty. The Oracle Casino benefits from this influx and during this period its slot machines and gaming tables are very popular. Known for its hospitality, the casino respects the international norms demanded by the MGA licence that it holds. The complex has a 33 400 square metre area dedicated to casino games. Slot machine fans have a choice of 211 machines with a large variety of differently themed games. Many of these machines take 1 cent bets and there are also 10 automatic Roulette tables available. Alongside these machines, the Oracle Casino offers 17 tables including 6 poker tables. The rest are American Roulette, Blackjack, Punto Banco, Texas Hold’Em and Ultimate Texas Hold’em. Like in the Portmaso Casino, certain Oracle Casino roulette tables are accessible to online players thanks to technology from Ezugi or Portomaso Gaming, which is the group’s subsidiary that develops and supplies live dealer casino games. With Ezugi software it’s possible to play at an online roulette table in this prestigious Maltese casino from the comfort of one’s own home. 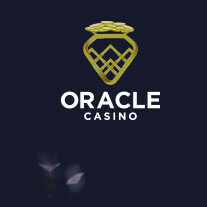 The Oracle Casino is situated within a 400 plus room hotel complex offering many luxurious and entertaining attractions : sauna, swimming pools, gym, hydro-massage, discotheque etc. There are also several themed bars and 5 restaurants. The Oracle Casino, Malta is open every day from 10AM to 6 in the morning. LIVE ROULETTE FROM THE ORACLE CASINO MALTA !